Seat Leon ST Performance, Engine, Ride, Handling | What Car? The entry-level 109bhp 1.2-litre petrol has decent low-down shove but we prefer the slightly pricier 113bhp 1.0-litre petrol. It’s a little quicker but importantly it’s cheaper to tax, less thirsty and, despite its size, it’s reasonably peppy, giving good acceleration while also emitting a fairly sporty exhaust note. If you’ll mainly be driving around town, then it’s worth considering. There’s also a 1.4 petrol with either 123bhp or 148bhp. The higher-powered version is particularly sprightly and our favourite engine in the range. It even shuts down half of its cylinders to save fuel when you’re cruising along. Even more potent petrols are available. 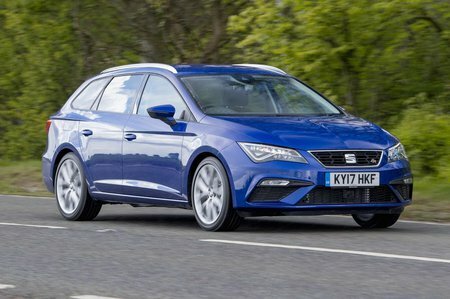 The 177bhp 1.8-litre unit is offered in FR Technology trim only, while the 296bhp 2.0-litre Cupra 300 model has enough pace to keep up with the fastest hot estates out there, especially if you go for the four-wheel drive version. A Volkswagen Golf R Estate will still be more fun to drive, though. The diesel options are a 1.6 with 113bhp, and a 2.0 with 148bhp or 181bhp. Even the 1.6 has enough low-down shove to ensure brisk, relaxed progress, while the 2.0s feel really punchy – and both return decent fuel economy. Be warned, though, that both also send plenty of noise into the interior if they’re pushed hard. The Leon ST’s suspension set-up changes as you move up the range. Beyond the standard suspension, SE Technology and FR Technology trims come with lowered sports suspension. The higher-powered versions, which include the 177bhp 1.8 petrol and 181bhp 2.0 diesel, get a more sophisticated rear suspension set-up, and by the time you hit the dizzying performance heights of the Cupra model, features adaptive dampers as well. Meanwhile, the X-Perience version has raised suspension to give extra off-road ground clearance – but most owners aren’t likely to venture far away from the tarmac. In practice, whichever ST you choose you’ll notice that the ride is a little firmer than on, say, a VW Golf Estate. It just about manages to remain comfortable, although the more basic suspension in the lower models does create a bit of patter from the rear of the car when you’re cruising along and never really settle down. If anything, the high-performance Cupra’s ride is the most impressive of the lot when its adaptive dampers are set to Comfort mode. True, it’s still undeniably firm, but better controlled as a result and surprisingly comfortable for such a focused performance model. With its extra high suspension delivering a bit more wheel travel, the X-Perience model is also smoother than the regular ST, too. 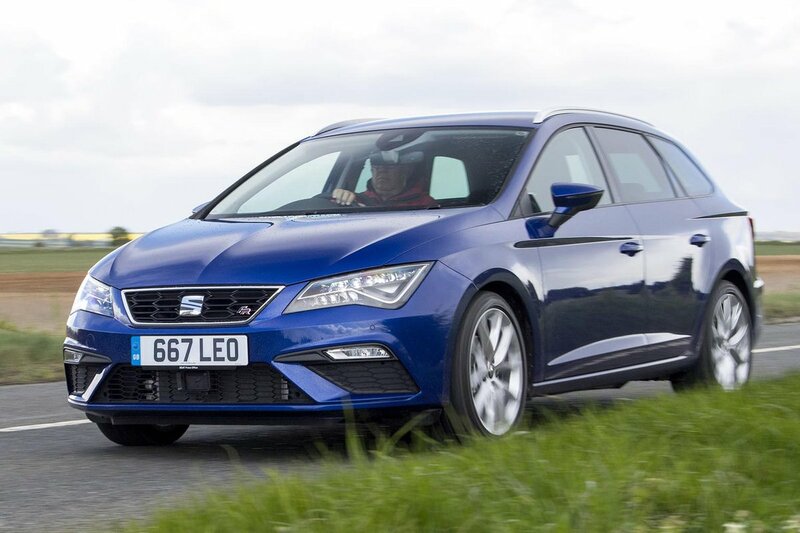 Most of the Leon’s chassis set-ups – ranging from the simpler design of entry-level versions to the trick adaptive shock absorbers of Cupra models – are relatively firm, so all editions of the car keep body roll in check, and stay impressively flat through corners. The exception is the X-Perience, which being slightly taller suffers from a touch more lean. The Cupra is particularly impressive in this regard; it has huge amounts of grip through a corner and clings on very well, inspiring you to push your limits, although the two-wheel drive model tends to spin up its wheels when accelerating out of tight bends. This is all sorted if you order the four-wheel drive Cupra 300, but even so it isn’t as thrilling or engaging as the best hot hatches, such as the Ford Focus RS. But that doesn’t come as a practical estate, though. Every Leon has nicely weighted, precise steering that helps make it easy to place the car accurately in bends, although more feedback would boost confidence when the roads are slippery. In any case, the weighting makes it easy to park and move around town. The Leon ST is a little less refined than its Audi and Volkswagen stablemates when you rev the engines hard. Yet once you’re up to motorway speeds there’s not much noise from the petrols, but you can still hear the diesels in the background when cruising, or when you put your foot down. You’re more likely to be troubled by wind noise from the Leon’s sharp-edged door mirrors than any engine noise, though. Another area where the Leon can struggle is road noise. 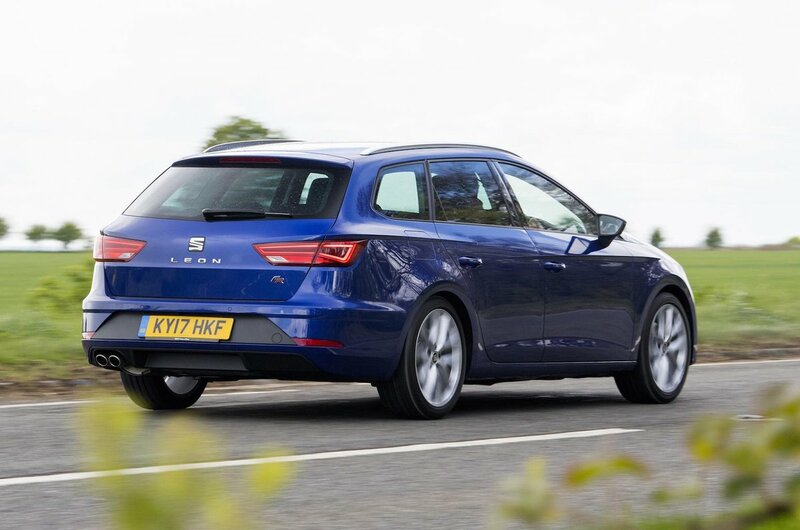 You’ll notice a fair amount of rumble on even basic-spec versions, and this becomes more of an issue with every increase in tyre size as you go up the model range – the wide tyres fitted to the Cupra 300 are the worst offenders. For the best experience, stick to the smaller wheels. The standard gearbox on most editions is a slick-shifting six-speed manual unit, but the 1.6-litre diesel gets a five-speed ’box that feels a little notchy by comparison. The DSG automatic gearbox (optional on the majority of Leon STs) is smooth enough most of the time, but it can be a bit clunky at low speeds, such as when you’re trying to reverse the Leon into a parking space. You can take control through the paddles mounted on the steering wheel, though.